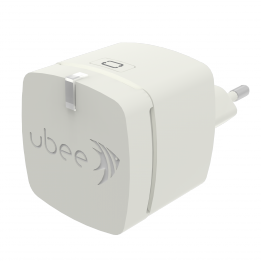 BOOST your home WiFi coverage and speed with the UBH1706-AA00 AC1200 Wireless Extender from Ubee Interactive. 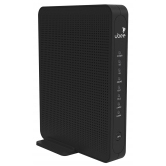 Get dual-band concurrent wireless connections with next generation 802.11ac technology in a compact, convenient plug-in device. 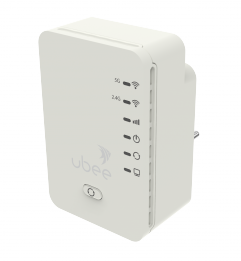 Use it as a wireless repeater to extend WiFi coverage, as a wireless access point, or connect it directly to client devices to enable wireless access. 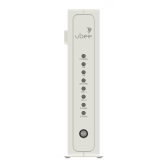 The UBH1706 is an ideal way to increase WiFi performance in the modern residence or Small Office/Home Office. 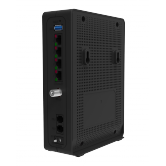 EuroDOCSIS 3.0 and EuroPacketCable 2.0 compliant, the EVW32C integrates 4 products into a single device: a cable modem, a residential gateway with a built-in 4-port gigabit Ethernet switch, an 802.11ac dual-band concurrent Wi-Fi access point, and a 2-line multimedia terminal adapter for telephony. The revolutionary new RF front-end supports digitization of the entire 1 GHz cable spectrum. The EVW32C is well suited to meet the contemporary demands of today’s residential and Small Office/Home Office (SOHO) subscribers.